This post is going to be a little different. Over the past three years, ever since I joined Twitter (Follow me here), I, along with many people I know, have had a lot of questions about the micro blogging service. I have tried to cover the topic from all possible angles, and when I am asked about Twitter, I generally send the person an email with a whole long list of links to posts I have written. I decided it was time to put all that Twitter material into one place, so if someone has a question or simply does not get it, I will be able to refer them to this post. I tried to make the titles of the posts clear and obvious enough so you know what to expect. Most of them are organized into lists, so they are easier to digest. I hope you find the information useful and of course, feel free to pass it on to anyone who does not yet get the Twitter concept. 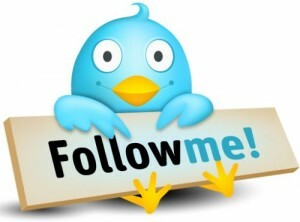 Twitter: To Follow Back or not To Follow Back? How to Decide! Dear Marketers, Please Stop Misusing Hashtags. My New Social Media Pet Peeve: Group Tagging. Don’t Do It. Ever! I would love to hear your thoughts on some or all of the above articles. Please drop a comment below or reach out to me on Twitter with your feedback. As always, thanks for reading. You help so many people to understand the nuances and concepts behind technology. And your tips are practical too. It helps that your website is really clear and easy to follow. Lots of good info. Thanks! Do you know how happy it makes me every time you comment here, Diana? You rock! Thanks. Wow! what an extensive list! Great job you did there! Great resource for a total newbie like me. I am confused though. Downloaded official twitter app for iPhone but you are suggesting other apps please explain here or email me if possible, thx. How would you solve the conflict of running too many private conversations with all your ‘new’ tweeter friends and not losing interest from other followers? All the best and Shana Tova. So so helpful to a tech dinasaur like me! How do people who tweet for a living charge for their services? One of the best consolidation on twitter n tweeting. Thanx for consolidation so much, it’s a big effort n time consuming. I’ll retweet it to my ppl. Again, a new great post, concise and precise ! Thanks again !